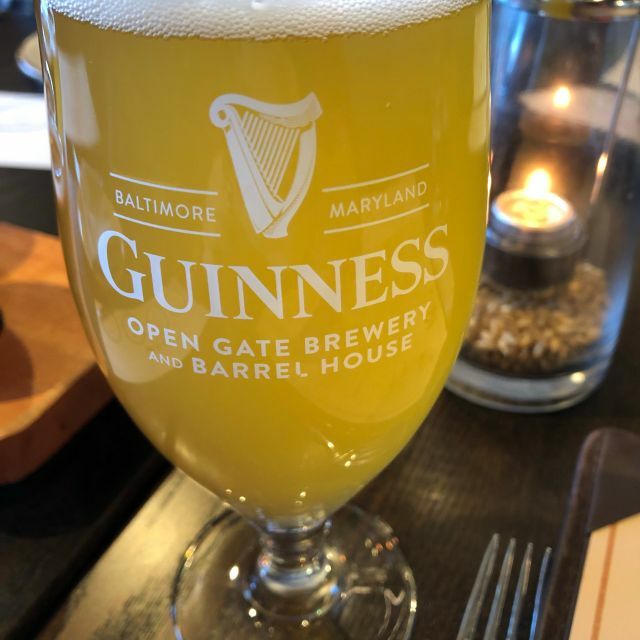 You must make reservations at least 5 minutes in advance of the time at 1817 at Guinness Open Gate Brewery & Barrel House. The Chefs at 1817 have put together an incredible menu that we can’t wait for you to experience. 1817 is open year-round Thursdays and Fridays 3pm-10pm, Saturdays 11am-10pm and Sundays 11am-9pm (Kitchen closed from 3 to 3:30pm for changeover from Brunch to Dinner service on the weekends). Walk-ins are always accepted, although reservations are encouraged. We feature Brunch service every Saturday/Sunday from 11am-3pm. The largest online reservation we accept is for 10 guests. We do not have a table that can accommodate more the ten guests. Multiple reservations made by the same person/party will not be seated together. Went to the restaurant there for my 21st birthday and had a great time! The sampler is reasonably priced, the beers were good, the theme was cool, and the service was pretty attentive! We took the brewery tour and than had dinner at 1817. The tour was average with a good tasting and guide. Our lite dinner at 1817 was good. 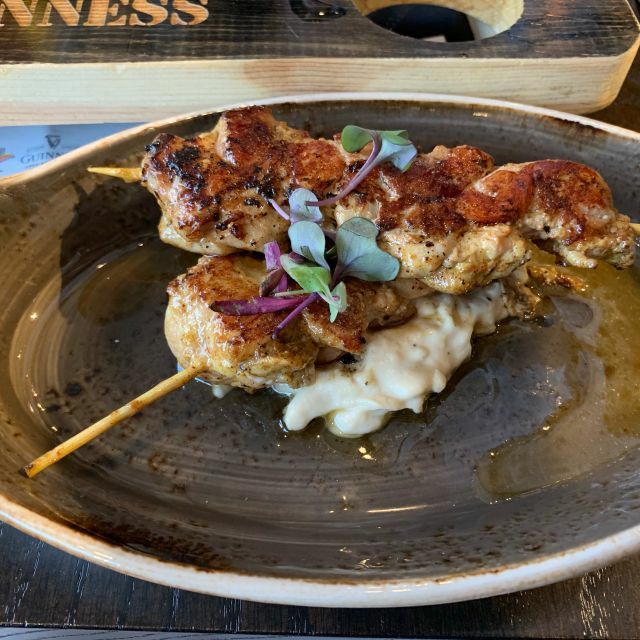 Great atmosphere, I would suggest that the big plates on the menu be changed to lower priced items featuring more Irish dishes leaning toward pub style food. Gnats destroyed our experience at the restaurant. The creme brûlée was two small as compared to the other deserts. Two Bites at most. Menu was very refined without commonly used ingredients. Didn’t order some items since we didn’t understand the menu. Anita, thank you for choosing the Guinness Open Gate Brewery to celebrate a birthday. We're sorry this wasn't mentioned during your meal. We hope you enjoyed your visit and we'll see you again soon. Cheers! The place is not set up to quiet down noise levels so it's quite noisy. I enjoyed all but 1 of the beers I chose to taste. I especially liked the Milk Stout and of course Guiness is always a winner in my book. I did however find the food mediocre and pricey. The overall environment was quite pleasing. Party/pub like atmosphere. Would like to go back and enjoy outdoor seating. All in all a most enjoyable outing. Put it on your list of fun places to visit. Plenty of parking too. Hi Remie, thank you for sharing your feedback. We will be sure to pass along to our team, and hope to see you back for another visit in the future. The food was delicious with plenty of options for everyone, including vegetarians. The service was friendly and helpful. The restaurant itself is very cool-looking, too. Remy, we're happy to hear you enjoyed your meal! Please come visit us again soon. Good food great atmosphere and obviously great beer. We're glad to hear you were well taken care of during your time here! Thank you for visiting and sharing your feedback. We hope to see you again soon! Thank you for dining with us, Mary! 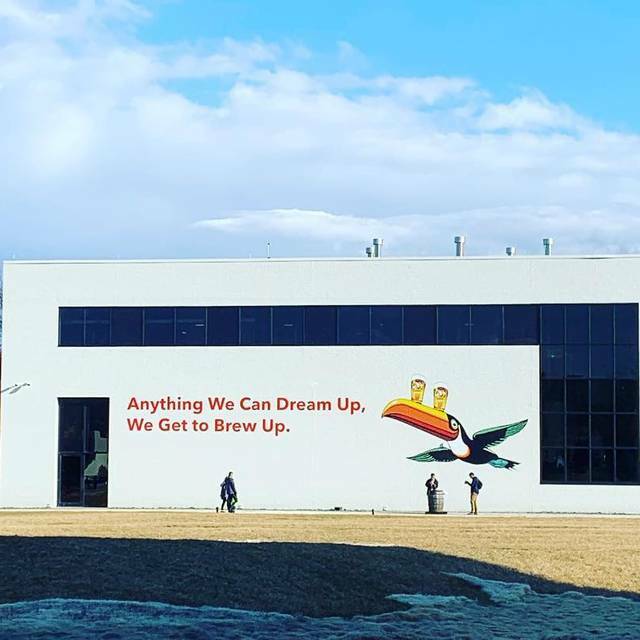 Very unique venue, you go for the beer and will not be disappointed. The restaurant menu is a bit odd - $17 burgers (got that, excellent) then entrees jump into the $30s. Restaurant service excellent, bar a shade below. You can get food at the bar also, a whole different selection. When we pulled in and I saw the number of cars, I thought we'd be shoulder-to-shoulder with other patrons, but turned out not to be that way at all. The place is suitable for all ages, from families with kids to dates to the elders. Hey Steve, glad to hear you had a great time at our brewery and restaurant. We appreciate the feedback and hope to see you again soon! This was our first visit and we really enjoyed ourselves! Food was delicious, beer was cold, service was quick without being overbearing. We were able to relax while enjoying our food and drinks. Looking forward to visiting again! Suz, thank you for joining us! We hope to see you back again soon for another relaxing visit. Cheers! Very cool venue. Beautiful setting and lovely staff. Our server Jason Savage was amazing! Friendly, knowledgeable, and made our first time to the brew house rememberable. Will definitely be back! Glad you had a great time, Brian! Thanks for visiting us. Going with a party of college kids, we all appreciated the reasonably-priced brunch and taproom menus. I quite enjoyed my eggs Benedict, and everyone I was with had a similar positive reaction. The taproom and outdoors environments are great for an easygoing weekend hangout with friends or family. Hi Howard, thank you for your visit! We appreciate the feedback and will pass this along to our team. If you have any additional feedback, please send us an email with your phone number to NewGuinnessBrewery@Diageo.c om. Fun spot for casual dining. Food was very good, served hot, which many places can't pull off these days. Server was friendly. Beer was cold. Can't wait for warmer weather and outdoor dining. Thanks for visiting! We're excited to see you back again this summer. Cheers and thanks for coming to see us, Linda! We look forward to seeing you again in the future. Hi there, thank you for your feedback. We'll be sure to pass this along to our team! Food was amazing; space is really cool- I can’t wait to go back when the weather is warmer. Cheers, Dana! We're looking forward to seeing you again soon. Good food and great beer. Food a little pricey. Cheers! Thank you for your visit. than the folks at the bar downstairs and the music sometimes is too "modern" . Over all the place is great. The hamburgers are terrific. We appreciate the feedback, Patrick! Please come back to see us again soon. Excellent food and great service from our server at 1817. The sea bass was outstanding as well as the burgers. Get the brown bread! We also had beer flights and appetizers in the Tap Room. Only complaint was that there is no service in the Tap Room. You have to order and pay for your drinks and food and then find a table. We appreciate the feedback, Marcela. Hope to see you again soon! I had higher hopes for the meal, but we were there on a Sunday afternoon and were offered the Brunch menu and a short Lunch menu. Not a big fan of Brunch especially with beer. The Asparagus salad was good, and my partner had breakfast, but the burgers going past us looked like a better bet. However missing the fish & chips option felt like a loss. Thanks for joining us, and we're sorry to hear you weren't satisfied with your meal. We'll be sure to pass along your feedback to the team. Really nice first visit. Brunch menu has something for everyone, beer selection is of course outstanding, and the service was great! Cheers, Joel! Thanks for joining us for brunch. I love the decor and vibe. Service, while very pleasant, was slow (for instance, it took 10 minutes for a beer to be poured and delivered in a half full dining room). The food was excellent and priced fairly. My one issue was with making the reservation: we had to change the original reservation to accommodate more guests, and the restaurant does not allow for large parties to book with open table. It worked out, we made two separate reservations and were seated together comfortably. Thank you for joining us! We're sorry about the inconvenience, and will pass along your feedback to our team. Cheers! We went for a birthday brunch. After trying to call yo amend reservation without any success, we arrived and needed additional seating. We had to wait 20 minutes for a table while there were plenty seats available. The table we were given was too small for our party. We were not offered an up to date tap menu. We would have liked to try the nitro coffee stout. The chicken and biscuit had a super dry biscuit and salty chicken. Hi there, thank you for being a fan. We appreciate you reaching out to us and are sorry to hear about your experience. 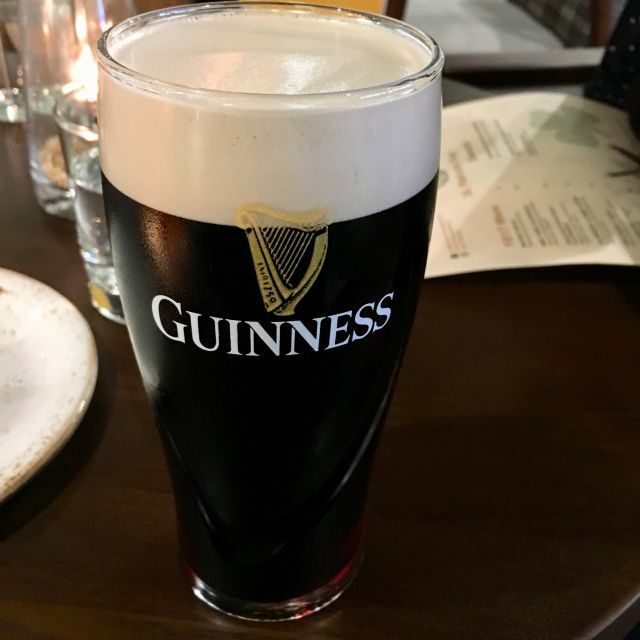 Can you please send us an email including your phone number to NewGuinnessBrewery@Diageo.c om so we can learn more about your dining experience? Was celebrating an anniversary here for brunch on Sunday. The poor experience began from the beginning by getting seated next to the kitchen in a fairly empty restaurant. When asked for another seating location it was met with a perception of reluctancy but words of customer service first by what appeared to be a floor manager. It continued through the meal with stale and luke warm cinammon rolls (pointed out nicely to waitress), room temperature main courses served in cast iron skillets that were used only for decoration (surprising that they weren't hot after first conversation about rolls), and stale biscuits. I'm not a chef but it seems to me that zapping that cast iron skillet in the oven at 450/500 for 5 min would solve the issue. It's very unfortunate because the taproom experience has always been top notch and I had very high expectations for the restaurant. Not being able to execute on hot food for brunch certainly leads me to believe the same would occur at dinner. For the prices and the atmosphere you would expect high quality but delivers with low quality food preparation. I will 100% be back for the taproom and outside atmosphere when it's nice out. It's highly unlikely I will be back to partake in the restaurant again, unfortunately. Hi William, We appreciate you reaching out to us and are sorry to hear about your experience. 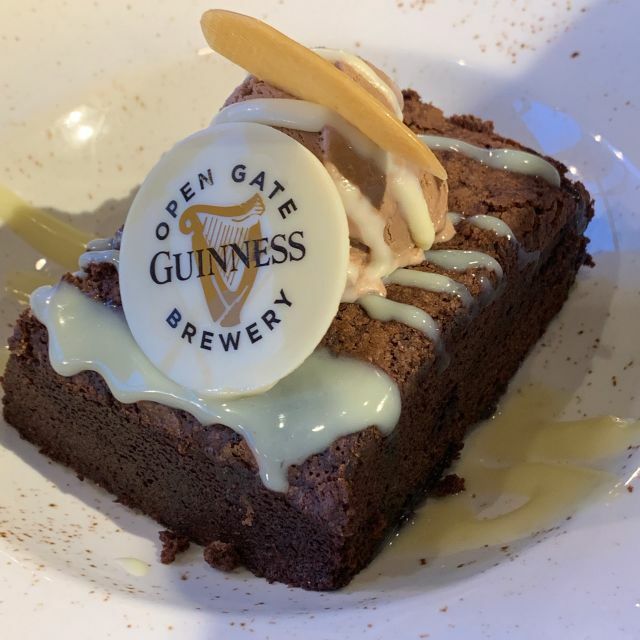 Can you please send us an email including your phone number to NewGuinnessBrewery@Diageo.c om so we can learn more about your dining experience? Food was good but our service was lacking. For example, when I inquired about our missing appetizer, the server who brought out our dinner entrees said she doesn’t know and that wasn’t her responsibility. The response was crazy. She didn’t offer to check with the kitchen or ask the primary server. Service definitely needs more work! Hi Kathy, We appreciate you reaching out to us and are sorry to hear about your experience. 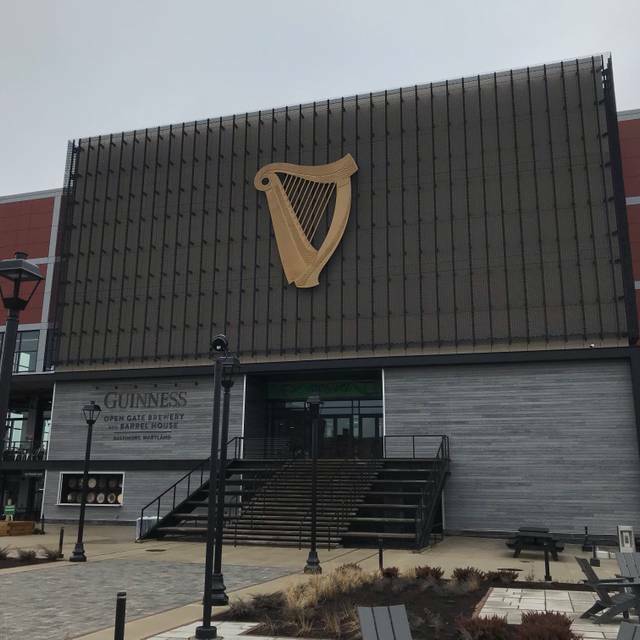 Can you please send us an email including your phone number to NewGuinnessBrewery@Diageo.c om so we can learn more about your dining experience? yes, absolutely. Staff was so friendly and welcoming. They easily adjusted our reservation for us, which was great because we had a large group. great atmosphere, inside and outdoors! Will definitely be back. Jan, thank you for joining us! We're happy to hear your group had a great time. Looking forward to seeing you again! For the second time I was again seated at a table near the kitchen instead of the other booths or tables, even when we asked if another table was available. Hi there, we're sorry to hear your request wasn't accommodated. We'll pass along the feedback to our team to ensure a better visit in the future. The corned beef and guinness bread were outstanding!! Cheers! Please stop by again soon. The food was great. 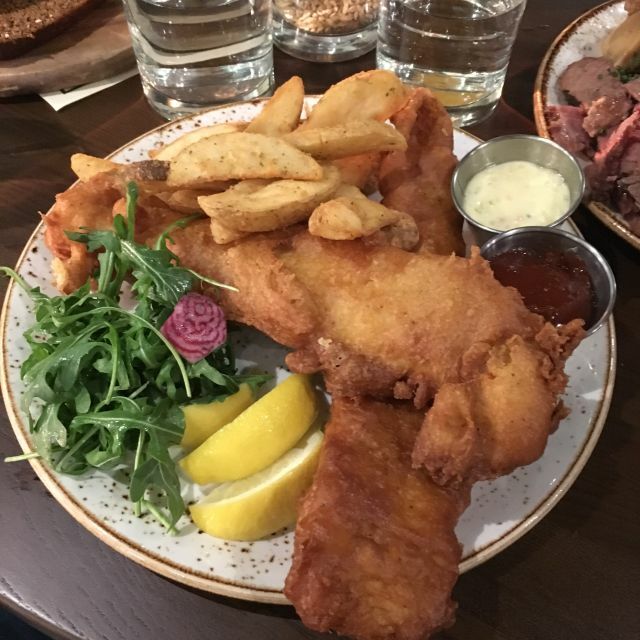 The Friday night special was fish and chips—2 generous haddock filets in each serving. We all 4 had it. And I loved the Guinness Milk Stout and my wife preferred their American Blond. Cheers, Frank! We're so glad you enjoyed your meal. Please join us again soon! The food was good but for the price you don’t get much! Thanks for joining us, Gary! We will be sure to pass your feedback along to the team, and we hope you'll stop by again soon. Cheers! Enjoyed every aspect of 1817. We had read a few negative reviews and was expecting the same. But after going I can not agree with those reviewers. Thank you for giving us a try, Brian! We're so glad we were able to exceed your expectations, and we hope to see you back again soon. Cheers! The food was excellent. I really wanted something from the gift shop but, WOW the prices were ridiculous. It was my Boyfriends 50 th birthday and this was his surprise dinner. I would have liked to have gotten him a shirt from the gift shop as a rememberance. I think if you buy dinner you should get MORE than 10% off at the gift shop. That was the ONLY disappointing thing. 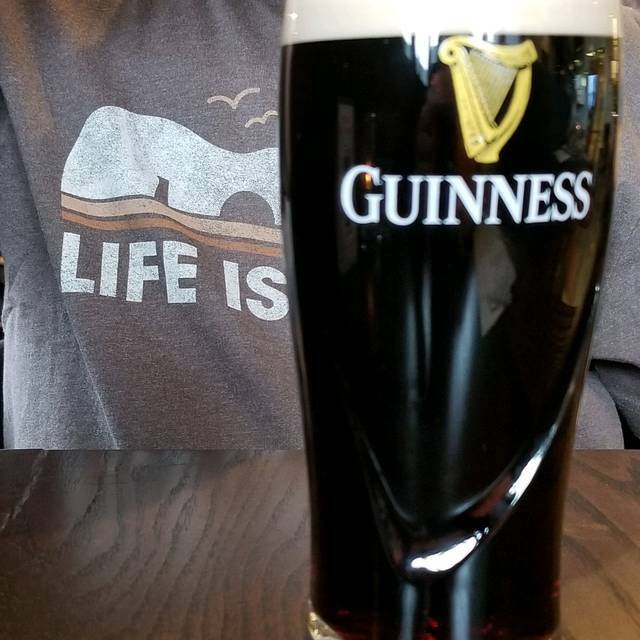 We had never been to GUINNESS but we loved it. Thanks for your feedback, Debbie! We will pass it along to our team, and we hope you'll join us again soon. Cheers, William! We look forward to seeing you again soon. Food was good, as was the service. The restaurant's acoustics leave a little to be desired, but it was a good experience. Service was good. A little pricey. Cheers, Rachel! Thanks for joining us, and we hope you'll be back again soon. now played are the choice of the younger generation. Cheers, Patrick! We're so glad you enjoyed your visits, and we hope to see you back again in the near future! The food was fantastic! Highly recommend the crab bisque and the crab & avocado salad. Both were delicious and affordable. The burger has a bacon aïoli that’s very innovative and tasty. Overall, great service and of course the beer is great! Thanks for joining us! 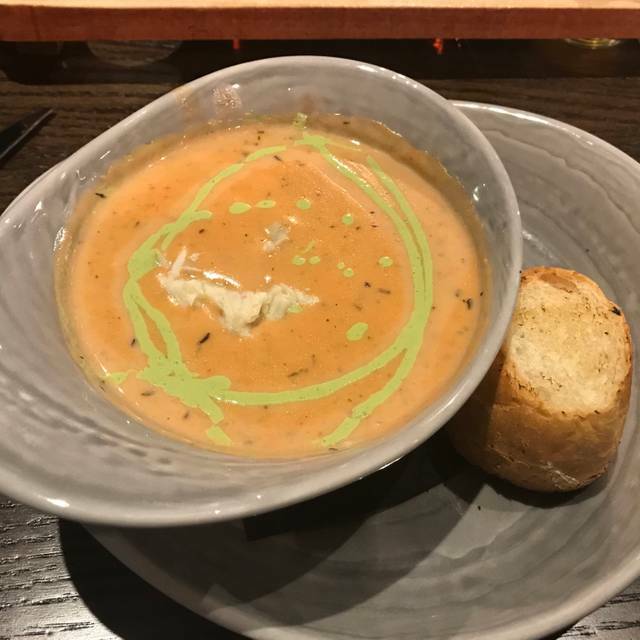 We're glad you enjoyed your meal, and hope to see you back again soon. Thanks for stopping by, Mel! We hope you'll join us again soon to try out more of our menu. Cheers! Cheers! We're so glad you enjoyed your visit, and we hope to see you back again soon.